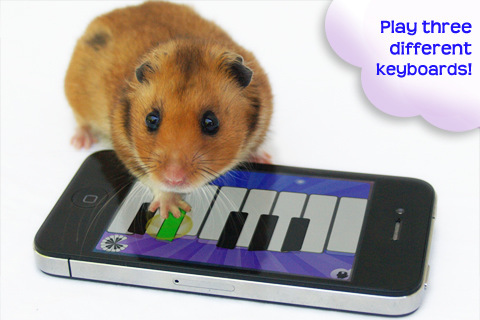 Magic Piano for iPhone/iPad - From concert pianists to harmonic hamsters, Magic Piano has captured the imagination of the world. Finally, the #1 iPad piano application is available on the iPhone! Choose from the largest song catalog of any piano app and play effortlessly by following beams of light. From classical to pop, Mozart to Lady Gaga, play the songs you love. Enjoy new songs every week! Hot new hits are constantly added to the app, so check back for new releases and suggest songs on Smule’s Facebook page. Get songs for free! Each Wednesday one new song will become free to download, so don’t forget to stop by and add to your song library! Inspired by international piano superstar Lang Lang, Magic Piano makes you a piano prodigy. Play your favorite songs with your own spin and sound great every time. You control the notes, rhythm and tempo of each piece while Magic Piano serves as your guide. Experience three magical keyboards: circular, spiral and traditional. Switch back and forth easily and drag your finger to scroll up and down the keyboard. Make the keys larger or smaller by pinching your screen or remove the keys entirely and play your favorite songs by following beams of light. 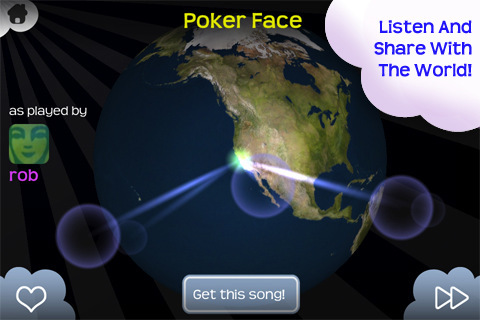 Share your performances with other Magic Piano players all over the world on the Smule Globe in the app. Listen to other players’ songs and let them know when you like their performances. Share with friends through Facebook, Twitter and email. · Suggested Songs appear after a performance. · Fixed a bug in chords where the notes would be stuck together. Notes will now be distinct and separated for better playing experiences and faster finger reaction times! · More ways to earn Smoola through watching videos. Check back daily into the app to see if you received a double Smoola reward lottery. · Updated song menu to have the song sections tab bar at the bottom so that it's easier to go between sections when searching for songs. · Updated song menu so that you can always get to "My Songs" from anywhere! Also, you can now see the songs you own in the song sections as well. · Updated Leaderboards so that you can easily get to the leaderboards from each song that you own under "My Songs"
· Fixed crashes when watching a video to earn free smoola! · If you still can't see your songs or Smoola, make sure you are logged in using your Smule ID! · Numerous bug fixes including crashes and additional lost song issues. 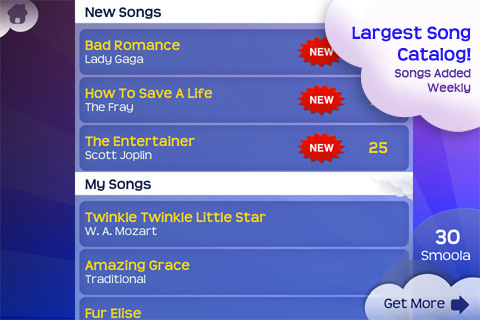 · Adds an easy option to change Game Mode, Difficulty, and Instrument Selection from the My Songs screen. 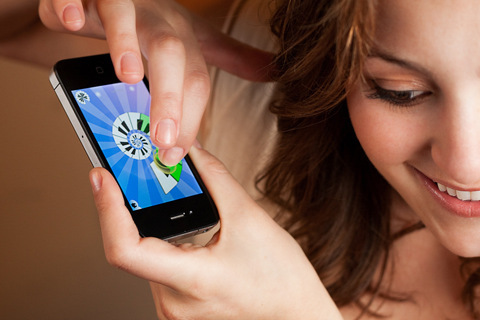 · EARN FREE SMOOLA!!! Get premium songs without buying coin packs! · Give the gift of music - invite your friends on Facebook and give them a free song of your choice! · Preview Songs before you download and play! · NEW: Three difficultly levels for every song! Songs are defaulted to recommended difficulty level. Adjust the difficulty level in the songbook menu as desired.